If the events of 2014 offer a prelude of what’s possible for transportation in our fast-growing region, then 2015 could be a watershed year for MARTA, transit in metro Atlanta and around the state. While MARTA continues to look ahead, a quick review of several major developments that unfolded last year should be a source of optimism for those who appreciate the value of providing cost-effective and reliable transportation choices for residents and visitors. In November, Clayton County voters passed a historic referendum to join MARTA by an overwhelming 3-to-1 margin, marking the first time the system has been expanded since its inception more than four decades ago. The first MARTA buses will roll into Clayton in March. Last week, MARTA proudly joined with partners at the city of Atlanta and Central Atlanta Progress to launch the Atlanta Streetcar, a 2.7-mile project that connects the storied Auburn Avenue corridor with the downtown business district, hotels, sports venues, shopping and tourist attractions. 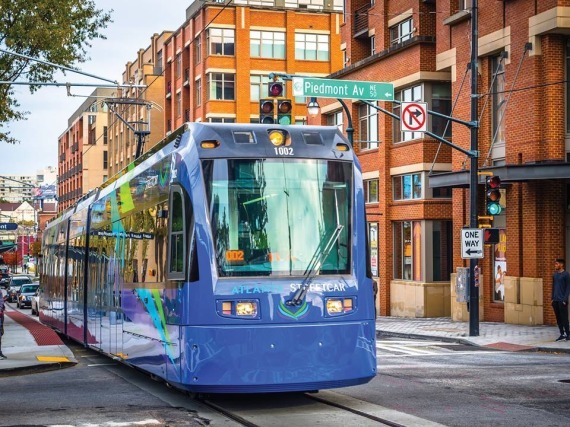 Another major 2014 highlight that coincided with the streetcar launch was the release of a report by the Joint Legislative Study Committee on Critical Transportation Infrastructure Funding. The committee’s recommendations could lead to much-needed transportation improvements when lawmakers convene next week for the 2015 legislative session.